How does forest structure form, and can we design forests or management strategies to achieve particular outcomes, such as in production forestry, carbon storage or habitat creation for conservation. Applications of 3D laser scanning to forest surveying, with a focus on describing the quantity and distribution of foliage. Individual decision-making by plants based on their local spatial context within a population. I’m always interested to hear from potential graduate students, post-doc fellows or collaborators, so if you want to know more then please get in touch. Below is a more detailed summary of my research to date. Rather than a conventional publication list I’ve split it into broad themes with a quick introduction to where I am with each of them, followed by the progress so far. The ones near the top are things I’m actively working on and therefore have fewer papers, often with more preliminary findings. Lower down are projects that are either completed or shelved until I get a sabbatical*. For a more conventional profile see ResearchGate. Me in my happy place. Look at all those trees! 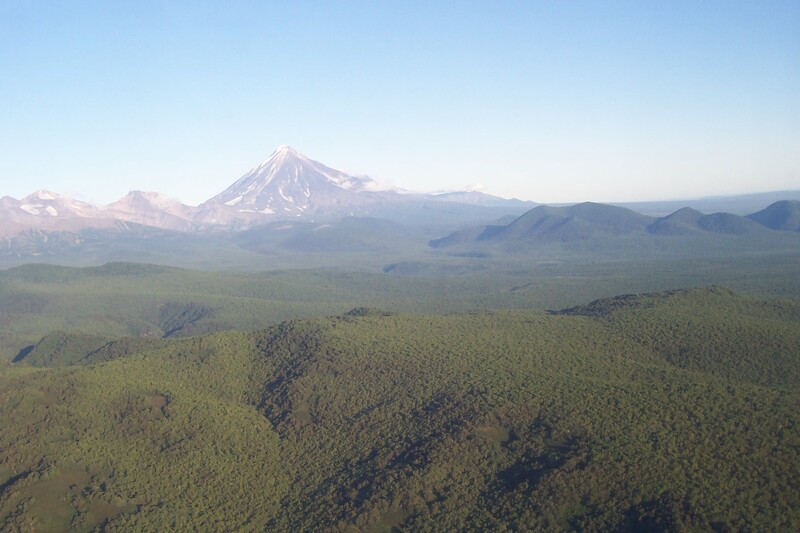 This is in central Kamchatka. Photo credit: Tim Kell. My main research interest at the moment is in how spatial patterns form in natural systems, particularly how localised interactions among individuals lead to the emergent structure of communities. This mostly looks at trees in forests but the fundamental principles can be applied to any species — I’m developing barnacles as an alternative study system. Many of the methods were first developed in physics, and it’s a joint program with former post-doc and physicist Jorge Velázquez, now at the University of Puebla in Mexico. Several manuscripts are in the pipeline and there’s plenty more to come, including field demonstrations of our models. Topics we’re investigating include mechanisms for species coexistence, the processes controlling size distributions, and population dynamics. Adding a spatial perspective causes systems to depart from predictions made at the population level, often leading to counter-intuitive outcomes. 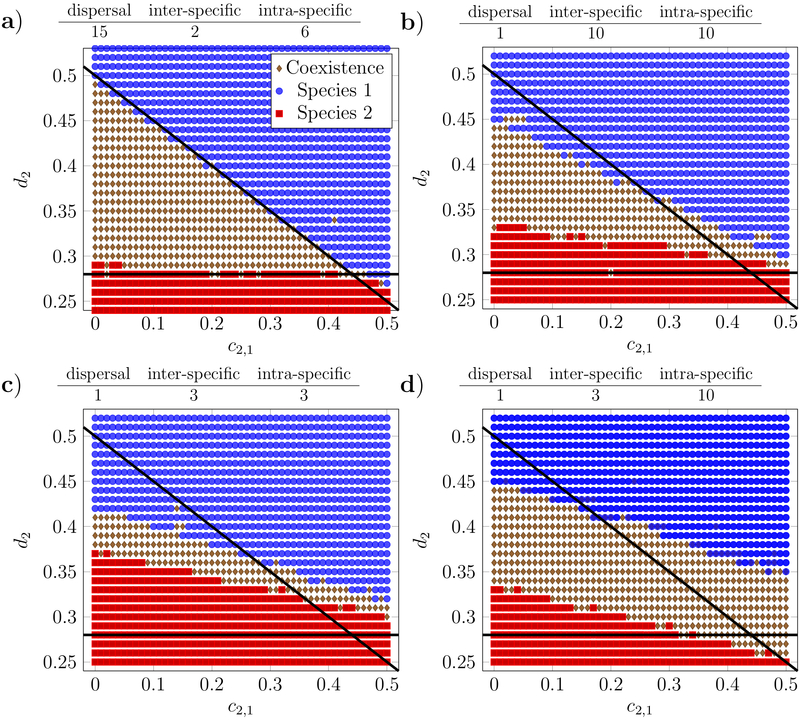 Lotka-Volterra competition models allow for coexistence of two species within a certain region of parameter space at the population scale (between the solid lines) but adding spatial interactions alters this. Here we vary inter-specific competition intensity and the intrinsic death rate of one species, but many parameter combinations generate similar patterns. In spatial simulations, when dispersal is long-ranged, outcomes match population-level predictions, and the range of competition is unimportant (a). When dispersal and competition are short-ranged, the zone of coexistence alters (b–d). Three potential mechanisms allow for coexistence beyond the parameter space defined by population-level predictions. Each carries a distinctive spatial and temporal signature (Velázquez et al. 2014). The second major line of research, which feeds directly into the work above, is in developing new methods for characterising the three-dimensional structure of vegetation using terrestrial laser-scanning. This is mainly in collaboration with Martin Smith in the School of Engineering at Nottingham. It’s definitely a research program ‘in progress’ but expect more soon — there are several manuscripts on the way. 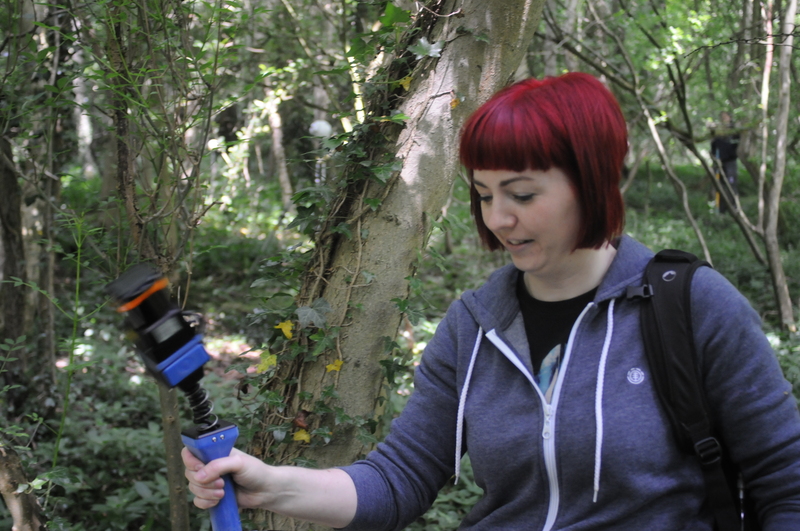 Hand-held scanner in use by Emily Williams; photo credit Joe Ryding. Included here is a large amount of work on agroforestry systems, which were the subject of my first post-doc and remain a long-term interest. This is mostly from a conservation perspective, trying to understand how traditional methods of farming with trees can be both sustainable and create habitats for other species. It also offers the opportunity for many collaborations with other researchers. The papers below cover birds, insects, frogs, vertebrate frugivores, herbaceous plants and even humans. I’m always open to new systems in which to study the implications of forest structure. Laurentino T.G., Baur J., Usui T. and Eichhorn M.P. (2019). Liana abundance and relationships to sapling and tree hosts in an East African primary forest. African Journal of Ecology 57, 130–136. Summary here. Eichhorn M.P., Ratliffe L.C. and Pollard K.M. (2011). Attraction of ants by an invasive Acacia. 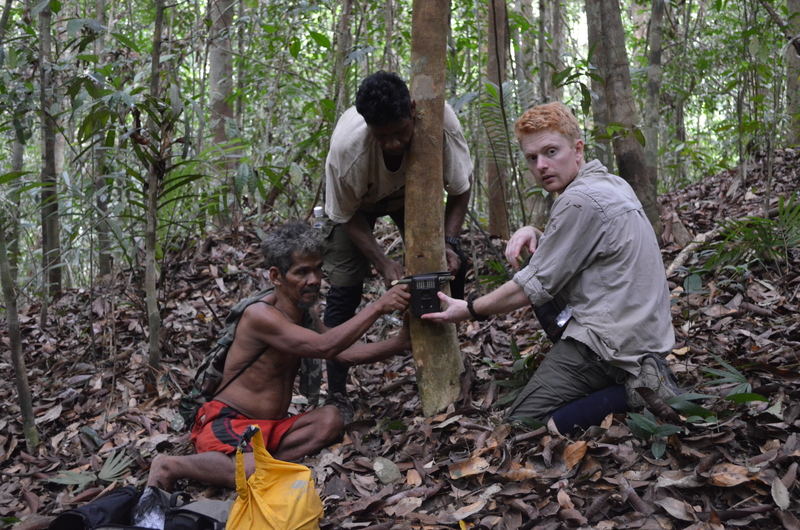 Tok Sumpeh, Lah and Jon Moore setting up a camera trap in Krau Wildlife Reserve, Malaysia. We have shown that fruit gardens established by forest-dwelling Chewong people increase the diversity and biomass of terrestrial frugivores in this forest (Moore et al. 2016). 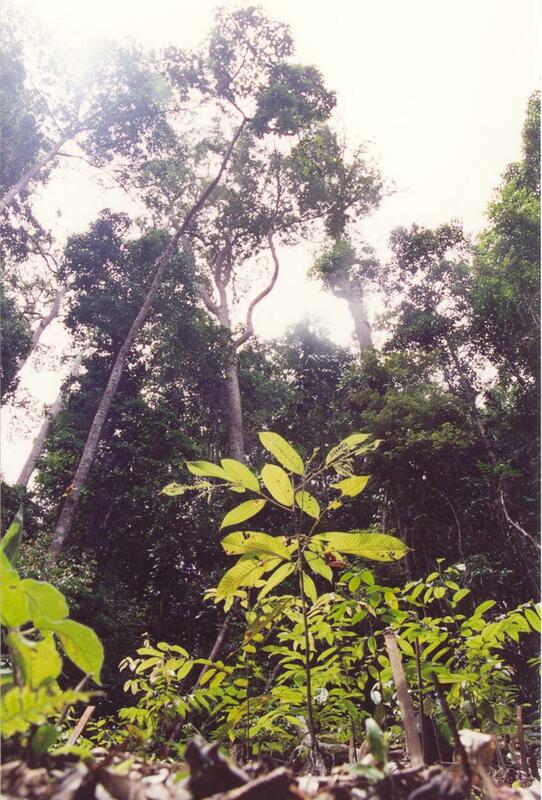 The interactions of Chewong with their forest environment form an ongoing research program. This was the subject of my PhD, many years ago, and which still continues as a sideline. I was initially looking at how insect herbivores might influence the growth of tropical tree seedlings. The short story is that they didn’t, at least not detectably. They did, however, influence later survival, but only long after my thesis was finished. We now have 15 years of continuous data. Publications looking at growth and survival of seedlings over this period are forthcoming. We planted out these seedlings in Sepilok Forest Reserve, Sabah, back in 2000 and we’ve been following them ever since. Most are now dead but those that survive are much larger. Photo credit: Jake Snaddon. 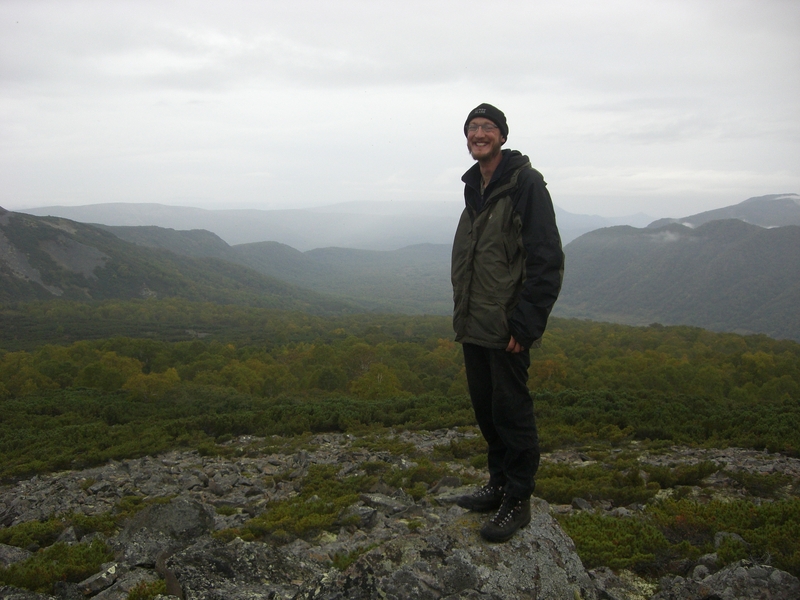 After my most recent expedition to Kamchatka in 2008 I returned with an incredible quantity of data, along with herbarium specimens and a large box of soil samples. A couple of the Kamchatkan papers are featured above in the spatial organisation section, but there’s plenty more to come. Most of these will be relatively minor contributions but since so few people work on the peninsula I’m determined to get more information about it into the literature. I’m also plotting a grant proposal and a likely return. Look at it. How could anyone fail to fall in love with such a place? Apart from the biting insects, roving bears and occasional heavily-armed Russians that is. Is that you as well? Although there are several major streams to my research, I’ve been involved in a number of other projects that are difficult to slot into the pigeon-holes above. Some of these might end up being developed further, others are just indicators of past academic lives. I doubt that I’ll ever work on snail behaviour again. Agroforestry policy is still in scope: see the string of papers with my brilliant former PhD student Olivia Norfolk above. I also have several papers still to write on conservation of Lundy cabbage, which might eventually get its own section, but right now it’s on the back-burner. Ironically this section contains my two most-cited publications — read into that what you will. 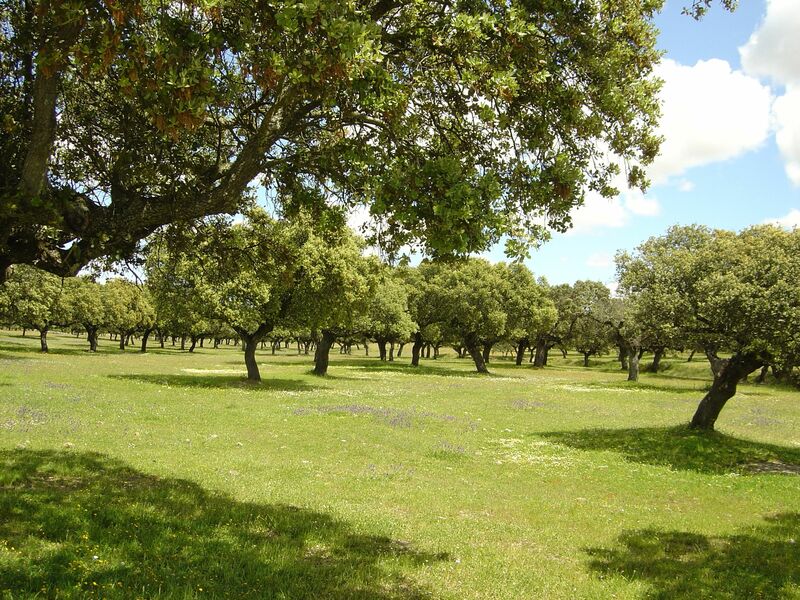 These dehesa landscapes in central Spain aren’t just beautiful; they’re of major conservation importance and a traditional system of agroforestry that has been in place for thousands of years. Photo credit: Gerardo Moreno. * My chances of a research sabbatical are about as high as those of discovering a lost population of dragons. Unless you’re reading this, in charge of a large institutional budget, and would like to invite me. In which case HELLO! HELLO! I’M WAVING AT YOU!